In another era, SEPTA's proposal to build a power plant in an industrial complex near its Wayne Junction station might have attracted little attention. SEPTA says the project, which would power most of the transit agency's northern Regional Rail system, will keep its trains running in case of a Peco blackout. It also says the $26.8 million plant will save money, and require no outlay for the cash-strapped agency. But SEPTA's proposed power plant would be fueled by natural gas, which despite its clean-burning attributes has become a lightning rod for anti-fossil-fuel activists. Members of the climate-change campaign 350 Philadelphia have alerted the surrounding Nicetown-Tioga and Germantown neighborhoods, and SEPTA's project is in their crosshairs. SEPTA says intermittent renewable energy, along with a massive array of storage batteries, would not be able to provide competitively priced on-site power to run a railroad independent of the electric grid. They said the price also would not satisfy requirements of Pennsylvania's Guaranteed Energy Savings Act, which allows SEPTA to finance the project with the savings it would create over its current energy costs. SEPTA points to a plan by NJ Transit, which was stung by power outages after Hurricane Sandy, to install its own gas-fired power system to harden itself against outages. After all, it still is an industrial area and has been for around 90-100 years or more. All of a sudden it changes. Go figure. If you want to run off of wind, you need something to handle the times the wind isn't blowing. And that's what natural gas is best at. 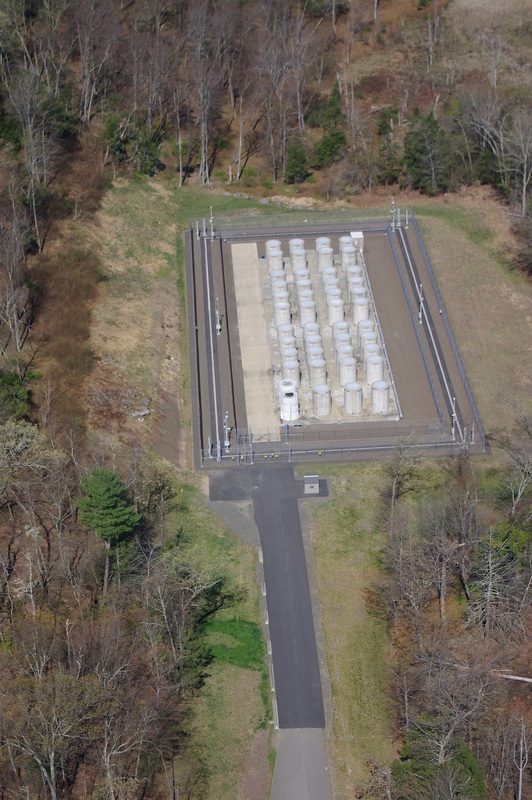 Grid scale battery storage isn't practical, at best. Sure it's stupid burning a useful heating fuel / chemical feedstock to make electricity when there are better options out there, but the government's pushing intermittent sources as hard as they can, and the thing with electricity is, you gotta make it when folks are using it. Sure natural gas peaking stations aren't very efficient, but nothing gets up and running as fast as a gas turbine. If we weren't talking about running a railroad, I'd say try and go renewable; but there's just no way you can supply what electric traction needs by just renewables, at least without investing hugely in energy storage schemes (be they batteries or pumping up a reservoir and draining it later, or something else). At least they chose natural gas and not coal or petroleum-based fuels; it might be a hard fight, but I think there's a possibility of it pulling off if SEPTA and/or supportive lobbying efforts actually make a coherent response. And who knows how many more tons of radioactive waste that will take at least 200,000 years to decompose... Better to close them now before they generate even more of that toxic garbage that you can't get rid of. Natural gas does appear to be the best option though (If it weren't for the very anti-coal mentality in one part of the country or another I'd even say go with an anthracite coal fired plant). Salem, MA is getting a natural gas plant to replace its coal plant that recently shut down and AFAIK it hasn't been met with too much opposition, if any. And we in MA ourselves are due to see a nuke plant shut down along with another coal plant in Somerset so it might be full speed ahead for natural gas (esp. if wind farms off of Cape Cod are a no-go). NH2060 wrote: And who knows how many more tons of radioactive waste that will take at least 200,000 years to decompose... Better to close them now before they generate even more of that toxic garbage that you can't get rid of. There's the entire generating history of a plant only slightly smaller than TMI. That's all the fuel (which isn't waste by the way, it's still quite usable, but we just don't recycle it in the US because Carter stuffed that back in the 70's) and the reactor internals. For comparison, you could always google a coal ash spill. There's plenty of examples of those going around. If it weren't for the very anti-coal mentality in one part of the country or another I'd even say go with an anthracite coal fired plant. Coal is dead in the US. Even the utilities don't want it. The only ones who do are are the coal miners and the railroads. FutureGen died fast and hard, FutureGen 2.0 died. Every utility pulled out. Pretty much every 'clean coal' (which is funny in itself, because coal's flat out dirty, no matter what) project in the US is dead, or on life support. It should be spec-ed to run on multiple fuel sources, including bio-diesel and algea biomass..
Bike shop owner Meenal Raval is concerned about a proposed SEPTA power plant being built in Nicetown. Since learning about SEPTA’s plans in the spring, she has attended the transportation authority’s board meetings to speak against it — as a business owner and community activist. If approved by SEPTA’s board, the natural gas plant would be erected in 24 months near the Wayne Junction Substation, close to its Midvale Depot, to generate electricity for the regional rail system. The “Combined & Power” (CHP) plant would cost approximately $26.8 million and will be financed through energy savings guaranteed to SEPTA under the Pennsylvania Guaranteed Energy Savings Act. The health risk, Raval and Wang argued, should be enough to deter the project. Maybe they could create a hoover like damn from one of the nearby lakes. But enviro-wackos would complain about that too. Also natural gas is the least polluting. (1) It's NOT a renewable fuel, which we need, for many reasons. (2) Extraction methods aren't the cleanest, at which point natural gas isn't actually better than, say, coal...which pollutes more in burning, but is "cleaner" to extract, and is more CO2 heavy than Methane (CH4) heavy...which is significant. In an ideal world, natural gas extraction wouldn't be done via fracking, which would cost more, but would also actually make natural gas a relatively clean option. As for being an "enviornmental wacko" (or what have you), an amazing amount of evidence now exists that demonstrates humans are causing global warming and climatic changes. For instance, right now, there is a very strong hurricane in the Atlantic (Mathew), which I expect to be international news for the next several days because it's going to absolutely destroy Haiti, the Bahamas, E. Florida, the S. coast of the US, and possibly the NE US (Stay tuned there because some of the guidance would shut down SEPTA, NJ Transit...etc, for several days but it's too early to tell for certain unfortunately). And, unsurprisingly, all of this is happening because the sea surface temperatures in the atlantic are several degrees warmer than they should be at this time of the year, fueling this hurricane. To the point: environmentalists are lobbying for clean energy because we NEED clean energy at this point to slow the effects of climate change. Whether that's the paris agreement or an individual power plant, it all matters. With the above being said, I will say that natural gas is apples to apples cleaner than coal if done right. On the flip side, one of the benefits of public transit (in general) is that it's cleaner than using a personal vehicle for transportation--whether it's a bus or a train, especially trains, which are the cleanest transportation option available. The method in which we power said buses and trains is however also important. If we're using a coal (or fracking-sourced) natural gas, power plant, to fuel trains and buses, it's not actually a "clean" solution. Electricity is only as clean as the method used to generate it. I also disagree that we cannot power a train line (or anything else), with renewable energy. It is entirely doable. The question is whether or not the investment is made in it. The argument of "when the wind isn't blowing", is not valid, because for the most part...wind farms aren't built where the wind is often not blowing! That'd be pretty stupid. Moreover, wind farms are designed to maximize the amount of time in which the wind *is* blowing, and adjust resistance to ensure that the turbines are spinning a majority of the time. Similarly, solar power is at this point very reliable, there's hydroelectric (has issues but is still clean), etc. The point is, environmentalists are advocating (as they should) for a society which is less dependent on fossil fuels. It's safer for the US (reduces reliance on questionable international sourcing), and it helps the environment. Considering we're talking about public transit, it makes sense to be thinking about clean energy options. To address your last point specifically, the idea driving this plant is to separate the energy supply of the Regional Rail network from the regional power grid. To achieve the same goal with wind you would have to build the windfarm close to the network or you would have to build a dedicated transmission network from northern PA which I suspect would create an issue. PHILADELPHIA (CBS) — Community and environmental activists, along with residents of Nicetown, are considering court as their next move to oppose SEPTA’s plan to build a natural gas plant in the 4300 block of Wissahickon Avenue. Philadelphia Air Management Services quietly issued a permit to SEPTA on Wednesday. Opponents of the plant held a rally at City Hall, unaware of the issuance of the permit. They were stunned to learn that AMS sided with Septa.